It’s already November, the leaves have fallen and we’re rapidly approaching another holiday season. Here at the MGTA, we still have much more in store before the curtains close on 2015. On November 10th, we will be hosting a member luncheon to discuss International Arbitration: Critical Concepts, joined by speakers Alan Anderson and Felicia Boyd. This is followed by our November 19th seminar on NAFTA and Customs Dispute Resolution with John Peterson and Jesse I. Goldman. These are both great opportunities to learn from seasoned legal professionals active in the trade community. We strive to be a valued resource for our members and a leading provider of educational content and trade news for the Midwest. Events like these demonstrate our commitment to serve the needs of our members. We look forward to seeing you at these events this month. Member Networking Lunch - "International Arbitration: Critical Concepts"
Negotiations over the Trans-Pacific Partnership (TPP) have at long last come to a successful end. But ratification of the agreement is far from assured – and some key questions remain to be answered. The TPP is a wide-ranging free-trade agreement among the U.S. and 11 other Pacific Rim countries (with the notable exclusion of China). It has been touted by the Office of the U.S. Trade Representative as a vehicle for “leveling the playing field for American workers and American business.” According to the USTR, the TPP will boost U.S. exports while increasing American jobs and strengthening the nation’s economy. Import barriers will fall in all of the signatory countries, which account for an estimated two-fifths of the global economy. The TPP is now headed for Congress, where it will be approved or rejected without lengthy debate or amendments, under the fast-track authority that lawmakers granted President Obama in June. Nevertheless, the agreement will face hostile legislators from both parties. The fact that it was negotiated in secret only serves to fuel the opposition. The TPP is being criticized as much for what it doesn’t include as for what it does. Jean Ergas, chief economist with Tigress Financial Partners and adjunct assistant professor at the NYU School of Professional Studies, says China’s recent devaluation of the yuan served as “a powerful wakeup call” for conclusion of the agreement. Yet it contains no explicit language about what Ergas terms “competitive devaluations,” and what others call currency manipulation on the part of China – that is, keeping the yuan artificially weak to boost the nation’s exports. China is clearly engaged in competitive devaluation, Ergas says, so it’s ironic that TPP countries declined to address the practice in their agreement. Still, its very existence can be viewed as a defensive measure to safeguard member nations’ markets, and better withstand the competitive pressures from a cheaper yuan. Time will tell whether it succeeds on that score. Ergas predicts that China will devalue the yuan by another 10 percent, in a further attempt to bolster sluggish exports. So much for the nation’s expressed desire to retool its economy to focus on satisfying domestic demand by a growing middle class. In the U.S., the TPP’s biggest selling point has been its potential impact on domestic employment, but don’t hold your breath waiting for a surge of new manufacturing jobs. “”The key benefit shall not be in job creation but in lower prices, and consequent increases in disposable income,” Ergas says. But a boost in the latter won’t be nearly enough to offset the nation’s growing problem of income inequality. Will TPP have an impact on the current trend of partial reshoring of manufacturing from China back to the U.S.? That, too, is unclear. Ergas says the U.S. already has the advantage of low energy costs, coupled with a more sophisticated approach to manufacturing than many Asian producers. (At least until the Chinese are done replacing their human workers with robots.) But ratification of TPP could make production sourcing more fluid. Countries such as Vietnam and Malaysia might become more attractive locations for low-cost production, especially with the removal of import tariffs. Ergas calls that last development the “low-hanging fruit” of trade liberalization. Big as it is, the TPP is far from the final word on modern-day free-trade agreements. The U.S. and China are busy negotiating a bilateral investment treaty that could in some ways trump the TPP, given the close economic ties of the two countries. Other TPP members, who came together with the expressed desire of offsetting the influence of China on the global economy, would object to no avail. “We are not a customs union and therefore can do agreements with anyone we want,” says Ergas. There’s even the chance that China might join the TPP at some point down the line, an action that would overturn the “anybody, but China” sentiment that largely drove creation of the agreement in the first place. In the long run, it’s better for countries to be functioning under some kind of trade agreement than be engaged in all-out economic war. But a pact the size and scope of TPP creates its own problems. Still to be determined, for example, is the impact of the investor-state dispute settlement provision, allowing companies to sue governments for policies resulting in the loss of profits or property rights. Ergas says ISDS represents an attempt to protect the interests of companies doing business in countries where the rule of law is relatively weak. But it could also come home to roost, if multinationals use the provision to challenge U.S. rules on, say, environmental protection. All are issues yet to be resolved. It could take years for the full implications of TPP and similar mega-pacts to become clear. Eventually, we’ll get an answer to what might be the biggest question of all: Who will dictate global economic policy in the future – governments or multinational corporations? As North America’s deepest harbor, with the shortest Pacific route, and easy access to the Midwest via CN’s network; the Port of Prince Rupert in British Columbia, Canada, has been an excellent option for many shippers looking to speed transit time or avoid situations like the West Coast strike. To further improve their services, over the last year the Port has been investing heavily in infrastructure and diversifying their cargo. This action has made them North America’s fastest growing port for transpacific trade. Also, it has attracted the attention of ocean carriers; both Maersk and Mediterranean Shipping Company (MSC) have added The Port of Prince Rupert as the first North American port of call to their amended TP8 transpacific service. “This new service is a validation of the advantages our port has brought to transpacific trade, and we look forward to building relationships with MSC and Maersk—and the many new customers that will benefit from the supply chain solution offered through our gateway” said Don Krusel, President and CEO of the Prince Rupert Port Authority. The Port is also increasing the container terminal capacity by almost 60% - projected to handle 1.3 million containers per year, from its current capacity of 850,000 units. The expansion will add a second deep-water ship berth, four cranes, a bigger container yard, more railroad track, and nearly 150 new jobs. The project will cost almost $200 million and is expected to be complete mid-2017. To support this increased capacity, the port has added new services including a bulk handling facility for wood pellets that’s growing rapidly. The port has plans for an expansion of its coal-handling facilities in anticipation of commodity's marketplace recovery; and is still awaiting word on a final investment decision from Canpotex on its proposed $775 million proposed potash export terminal. Is Canada in a Recession? A recent report from Statistics Canada states that GDP fell in second quarter, indicating the economy was in recession in first half of 2015. Canada’s real gross domestic product shrank 0.8 percent for first quarter of 2015 and .05 percent in April and June. Marking first time since the Great Recession of 2009 that Canada’s economy fell into a recession. While the two-quarter slump meets the technical definition of recession; the second quarter slump was milder (forecast for a 1 percent decline) and an uptick in June was seen as a sign the economy is turning a corner after five months of declines. A major contributor to Canada's slowdown, according to the IMF, was lower capital spending in the oil sector. Factor in the global slowdown, IMF projections the world economy will only grow at 3.1 percent, and events from China to Greece all impacted Canada’s economy. To read more about these factors you can refer back to our previous newsletters - Volume 12, Issue 5: September/October 2015 which covered the Greek and Chinese economies and Volume 12, Issue 3: May/June 2015 which covered the impact of falling oil prices. While June's data sets the stage for a recovery not all economists were as optimistic. Consumer spending led most of the second quarter growth, while business investment remained a major drag. “With exports still struggling and business investment falling in response to the fallout in the energy sector, hopes for a sustained rebound beginning in the second half of the year look misplaced,” David Madani, Canadian economist with Capital Economics, wrote in a note to clients. However, most forecaster expect the current quarter’s output to come in anywhere from 1.5 percent to about 2.8 percent. BMO and Bank of Canada expect 2.8 percent growth, Canadian Imperial Bank of Commerce expects 2.7 percent growth. While it may not be consistent, currently the numbers are starting to add up to a third-quarter gain after the economy was in recession in first half of 2015. By Jason Lloyd, PS International, Ltd. While a considerable investment, rail companies need to start building up freight business as much as possible. The reason being is that coal, which has been a staple of U.S. rail traffic, is taking a back burner to cleaner, natural gases. The average weekly carload of coal being carried by rail has dropped 20% over the past five years, according to Bloomberg. The dual tracks will be key when it comes to this. The second rail means more and longer trains can be run on the tracks than traditionally could with a single line. BNSF has to complete the double track section in Oklahoma, which is scheduled for the end of October, and then they will only have seven more miles of line to build, including 3 bridges. After this last section is complete, BNSF will be able to run 78 trains a day for that region, instead of the 62 they can handle now. There are some inherent advantages to moving cargo by rail rather than via road. First and foremost, the trains can simply move faster than a truck can, and with no need to pull over, or contend with traffic. A BNSF train with truck trailers can make the Los Angeles to Chicago run in 64 hours. WIth the completion of the twin tracks, the run will be shortened by an additional three hours. XPO Logistics Inc., which arranges shipments for a number of customers such as Costco Wholesale Corp., says about a third of long-haul freight that it has been sending via truck will be a prime candidate to make the switch over to trains. If that rule becomes applied to the entire industry there could be over $100 billion in business up for grabs by the railroads, says Chief Strategy Officer Scott Malat. “Rails have realized that, and that’s one of the main reasons they’ve been investing so much in their capacity, service and efficiency,” Malat said. Carriers and freight forwarders will need to be mindful of the business that might be taken over by the railways as shippers are continually looking for better and more efficient methods of moving their products. One of the ways to help offset the business that could potentially be lost to this shift is to open your business up for more opportunities. Joining carrier databases is a great way to help shippers find your business. The ELITE League’s comprehensive database allows you to declare multiple locations that you frequently service or routinely have capacity. The ELITE League can help make your business more visible and increase your opportunities. 4.1 million Syrians have fled their country since the country's civil war began in 2011. These Syrians are the focus of the refugee crisis in the Middle East and Europe. In addition, an estimated 7.6 million Syrians have been displaced inside their homeland. Combine these two groups and it means over half of Syria's 23 million people have fled or been driven from their homes since the war began, a strikingly high figure for any war. 381,000 refugees and migrants have reached Europe this year, a figure far larger than in any recent year. Syrians account for just over half the total, and many other countries make up the rest. The countries include Iraq, Afghanistan and Libya, to name a few war-torn states, as well as many western African states where the migrants have been motivated by dire economic conditions. It's important to remember all the refugees arriving in Europe this year account for less than 10 percent of the Syrian exodus in the past few years. So that raises the question: "Where are all those other Syrian refugees"? 1.9 million Syrian refugees in Turkey, the largest single concentration. In other words, Turkey has taken in far more refugees in the past few years than all of Europe combined. Another remarkable number is the 1.1 million Syrian refugees now in Lebanon, a country that has only about 4.4 million citizens. 244,000 of migrants arriving in Greece who account for two-thirds of the total reaching Europe. Most of the other refugees have landed in Italy. The migrants pass through Greece quickly, usually staying for just a few days, at most. They are well aware that the country is suffering a brutal recession and lacks the resources to cope with them for any length of time. 98,783 of applications for asylum in Germany so far this year. This figure is expected to accelerate rapidly. Germany has been more welcoming to asylum seekers than any other European country and says it could take up to 500,000 asylum seekers annually. Like most every European country, Germany has a low birth-rate and an aging population. Some parts of the country suffer labor shortages, and some German officials see immigrants as the solution to the country's demographic challenges. 2,800 refugees and migrants have died in the Mediterranean attempting to reach Europe this year. As with the other figures, it's up dramatically this year. 1,500 Syrian refugees the U.S. has taken in since the Syrian war began. The State Department recently announced that the U.S. could accept up to 8,000 Syrians next year. The U.S. has been a leader in humanitarian assistance to Syria, providing $4 billion in the past few years, but has been reluctant to take in refugees. 0 (Or very close to it) of Syrian refugees have been formally resettled in the wealthy states of the Persian Gulf, including Saudi Arabia, the United Arab Emirates, Kuwait and Bahrain. Both the U.N. refugee agency and Amnesty International put the number at zero, though some reports say a small number of Syrians have received asylum. The Gulf states note that several hundred thousand Syrians are living in their countries. Most were already working in the Gulf when the civil war in Syria broke out, and they have remained in the Gulf on temporary work visas. It is still too soon to fully assess the effects of the migrants’ crisis on global trade, but it has already had a significant impact on the movement of freight trains using the tunnel between the U.K. and France. A declined by 33 percent in the third quarter largely due to the migrant crisis at the port of Calais in France. According to the Journal of Commerce, an estimated 5,000 migrants, mainly from Syria, Libya and Eritrea, live in tent camps in and around the French ferry port of Calais, making daily attempts to sneak onto trains, break into trucks and storm the tunnel. As a result, Eurotunnel said "it is completing the installation of 18 miles of high security fences around its French terminal and has doubled its security staff to nearly 250, including dog teams.” According to another JOC article, merchant ship operators have joined with seafarers’ unions urging European Union member states to take immediate action to curb the growing humanitarian crisis in the Mediterranean, which they say is putting crews and schedule reliability at risk. With Mideast and North African states embroiled in violent chaos and political crises, the waters of the Mediterranean have become a thoroughfare for refugees fleeing from a slew of states including Syria, Libya, Tunisia, and sub-Saharan nations. Since 2014, thousands of men, women, and children have attempted to make the dangerous crossing, often in overcrowded boats not fit for purpose and at the hands of human traffickers. Over the course of two days in mid-March, Italian officials reported a flotilla of rescue vessels and three cargo ships saving 941 people in seven separate operations. To date, more than 3,500 have lost their lives. In a letter to all 28 EU Member states, merchant ship operators and seafarers’ unions acknowledged their responsibility to rescue any person in distress at sea. Merchant ships; however, rescued close to 40,000 people in 2014 alone — a number that is expected to increase dramatically over the next year if political turmoil doesn’t dissipate in the region. One may or may not agree with the German Chancellor’s response to the largest refugee and migrant crisis that Europe is facing since World War II. It becomes moreclear every day that a united European response to this humanitarian crisis is needed urgently as Germany alone will not be able to handle it. Let’s hope that the EU’s leaders will side with Ms. Merkel to design a long-term solution to this situation in the same manner that they did it to address the euro crisis. Todd Vollmers, an MGTA member and attorney with the Minneapolis law firm Thompson Hall Santi Cerny & Katkov, recently travelled to Mexico City and Guadalajara as part of the Governor’s trade mission. Todd met with several medical device distributors in Mexico, and the Minnesota trade delegation toured sites for several different companies, including General Mills, Best Buy, Grupo AGYDSA (one of Mexico’s leading edible oil processors) and Grupo FH (an integrated logistics and international trade services provider). In addition, the delegation met with officials from the government of Jalisco, where Guadalajara is located, and the federal Ministries of Foreign Affairs, Agriculture, and Public Education, as well as ProMexico, which promotes international trade and business. Mexico is currently Minnesota’s second largest trading partner after Canada. In 2014, Minnesota exports to Mexico totaled $2.2 billion, and imports to Minnesota from Mexico were $2.1 billion. Several Minnesota companies have operations in Mexico, including Emerson, 3M, HB Fuller, Donaldson, Pentair, St. Jude Medical, Medtronic, Ecolab, Valspar, Cargill, and CH Robinson. Also, there currently are eight Mexican-owned companies operating at 34 different locations in Minnesota, including retail and commercial bakeries, food manufacturers, and concrete manufacturers. Midwestern companies involved in international trade have faced a myriad of challenges this past year. Uncertainty in the global economy, supply chain disruptions, and weak commodity prices have put pressure on the bottom line. Adding to these issues is unprecedented volatility in the foreign exchange market. Since the latter half of 2014, concerns about Greece, the Scottish vote for independence, the global economy, and China have led to a more volatile market than in years past. This volatility presents a major challenge to both importers and exporters. For exporters, competitiveness in global markets often depends upon a weaker dollar. In today’s environment, a strong dollar has made U.S. goods much less desirable than a year ago. Since October of 2014, the dollar has risen nearly 14% against the Euro, 20% against the Australian dollar, and 36% against the Brazilian Real. Grain and agricultural shippers are especially hard hit, as this adds to the pain of already weak commodity prices. While the strengthened dollar has provided advantages for imported goods, currency volatility is a double edged sword. Volatility among a basket of currencies are not symmetrical, the recent gains of the dollar against the Real, for instance, have been significantly greater than against the Euro, making Brazilian products comparatively competitive. Further, supply chains are sticky, companies are unlikely to alter sourcing strategy based on short term volatility. This means organizations, can perhaps be, at risk against other imported products. Additionally, organizations importing their products to the U.S. market often need to order their product many months in advance to accommodate production and shipping. By the time the product is delivered to market, new currency market conditions could put sales of this product at risk. To deal with foreign exchange risk, companies do have options. They could increase prices to offset fluctuations in currency risk, but many companies do not have that luxury due to stiff competition. For these companies, forward hedging contracts or swap agreements are another way to mitigate risk. These contracts, designed to hedge against currency volatility, among other risk, can be essential tool for international traders. For large and small companies alike, these tools are useful in the mitigation of risk. The MGTA is dedicated to provide educational seminars and events to serve the needs of the global trade community. If you would like the MGTA to hold a seminar on this, or any other topic, please reach out and let us know. This article was compiled using information from bbc.com and the CIA. Hungary traces its history back to the Magyars, an alliance of semi-nomadic tribes from southern Russia and the Black Sea coast that arrived in the region in the ninth century. Hungary was part of the Ottoman then Habsburg empires from the 16th century onward, emerging as an independent country again after World War I.
Hungary became co-equal partner with Austria in a dual monarchy in the mid-19th century after an unsuccessful revolt against the Habsburgs in 1848. After a period of turmoil following World War I, an independent kingdom of Hungary was established under the authoritarian regency of Admiral Miklos Horthy. Following World War II, Admiral Horthy had allied himself with Germany and Hungary fell under communist rule. An uprising in 1956 was crushed by Red Army forces, but Hungary did later become the first Eastern European country to gain some economic freedom. Hungary's post-communist economic transition was achieved relatively smoothly. Within four years of the collapse of communism nearly half of the country's economic enterprises had been transferred to the private sector, and by 1998 Hungary was attracting nearly half of all foreign direct investment in Central Europe. Ten years later, the picture looked rather less rosy. A high level of both private and state borrowing left the country particularly vulnerable to the credit crunch of 2008, and in October of that year the government was forced to appeal to the International Monetary Fund and the European Central Bank for massive loans in a bid to stave off economic collapse. In 2010, the new government implemented a number of changes including cutting business and personal income taxes, but imposed "crisis taxes" on financial institutions, energy and telecom companies, and retailers. Global demand for high yield has since helped Hungary to obtain funds on international markets. Hungary’s progress reducing its deficit to under 3% of GDP led the European Commission in 2013 to permit Hungary for the first time since joining the EU in 2004 to exit the Excessive Deficit Procedure. The IMF projects Hungary’s GDP growth rate will slow to 2.5 percent in 2016. The forecast was raised from 2.3 percent in April 2015. 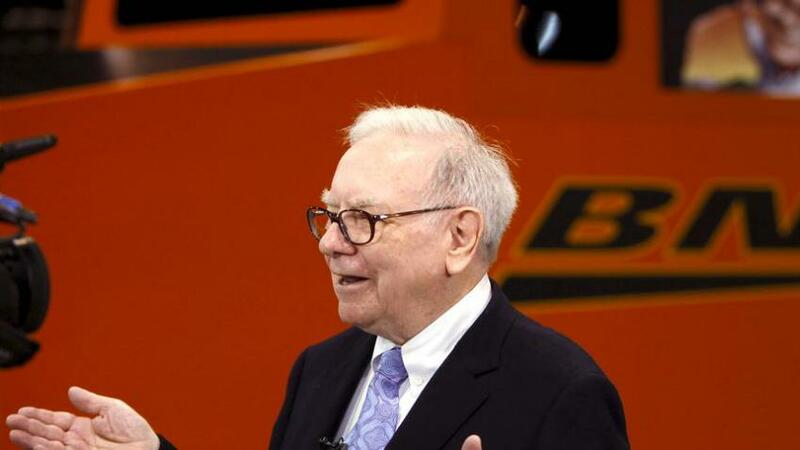 Warren Buffett’s Parallel Rail to Compete With Trucks By Jason Lloyd, PS International, Ltd. The Impact of the Migrants’ Crisis on Global Trade By Thierry Ajas, Randstad Professionals.